Nothing signals a ”Party“ or a ”Good Time” quite like seeing a marquee going up somewhere. Practically speaking, marquees are temporary venues for use when and where one wants them. In reality the right marquee makes dreams become reality. Marquees can be fairly small – say 30 guests at a private home to 2,000 people and more for major conferences and corporate entertainment. Traditional marquees also called “Pole and Pole”. Tall poles in the middle of the tents give a high peaked appearance. The perimeter of the tent has poles secured to tent pegs by guy ropes. Some or all of the side walls are quickly attached or removed. Traditional Marquees have to be erected on a surface into which tent pegs can be driven. 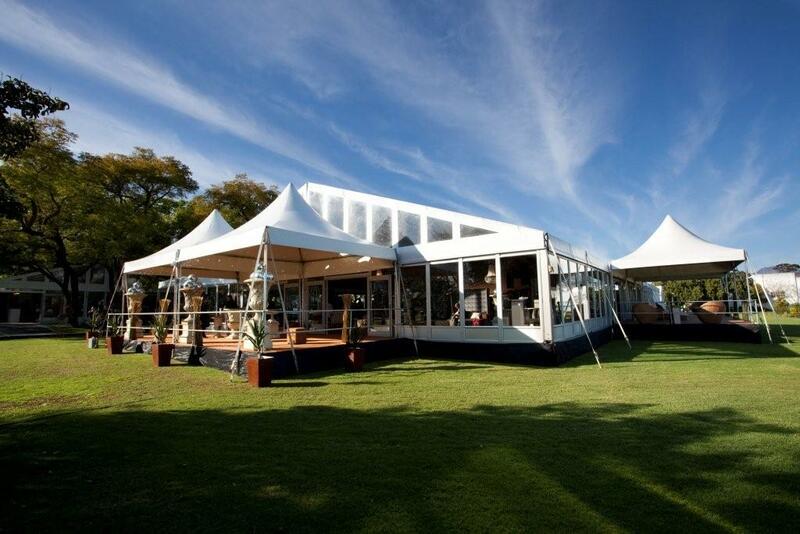 As a general rule Peg and Pole tents are the cheapest type to rent for a function. Frame Marquees, sometimes termed “Clear Span Structures”. These marquees use PVC cladding over a metal frame work. The frames can be either steel or aluminium with the weight of steel limiting the span width. Steel fame marquees are more economical to hire than the more sophisticated aluminium versions. The top of the range frame marquees available from Ron’s Hire offer optional extras, including glass doors and windows, decking and integrated flooring, custom draping and décor, temperature control and designer lighting. Stretchee Tents. Currently fashionable, these are fabric roof coverings supported on different length poles placed strategically within the area. Stretchee tents have for centuries been used by North African Nomadic and Bedouin tribes. Stretchee tents can be set up in unusual or awkward locations and anchored to the ground or to existing buildings and other fixed points. Demand for stretch tents is seasonal limited as the sides remain open and absolute waterproofing is a challenge. A variety of colours are available, some of which come at a small price premium. The best marquee for the occasion is determined by the size and nature of the function, location and budget. Ron’s Hire consultants will present the alternatives at any time. However a site inspection and review of the event objectives is always the best approach. Marquee size should be properly calculated bearing in mind everything that needs to be accommodated in the event venue. As a rough guide though, one can work on an allocation of 1m2 per person standing or seated cinema style or 2m2 per person seated for a meal. Please view the marquees on our site and contact us for any futher details to make your event a special occasion.